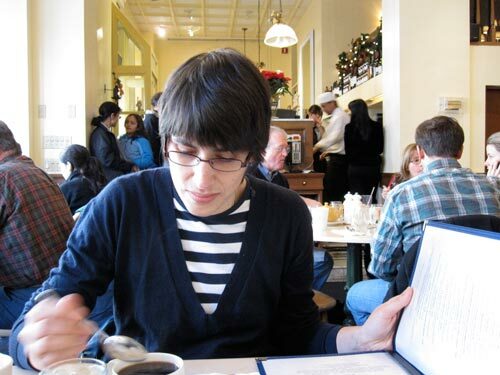 December 21, 2009 / You have to wait your turn to get a table at Sarabeth’s. Twelve/twelve 2009 involved Metro North, a trip to the City, a delicious brunch at “Sarabeth’s East” (you have to tilt your nose up just so and then peer down it at others to fully appreciate this), some shopping at Various, more coffee, etc. Cold, but not too, fine weather and a tomato omelette that shall not soon be forgotten. The last time I had the spinach omelette but I am forcing myself to branch out. 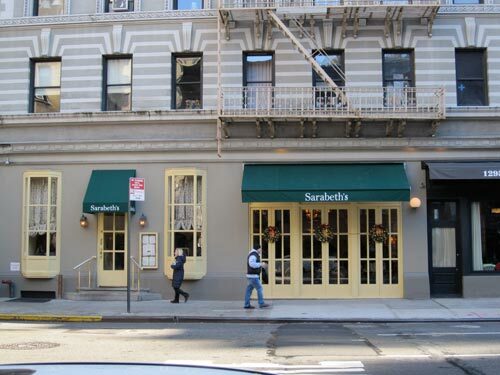 Sarabeth’s looks modest and unassuming from the outside, but open that little door on the left, go inside and you had best believe you will smash hard against the bulwark of queueing, ravenous, upper east-side bruncherati. This time I was prepared both mentally and physically (flanel-lined jeans, denim jacket, beanie and a certain cognisance) but as always the being seated at table and pouring of hot, black coffee into sturdy white cups came not a moment too soon. And naturally, to our left: a couple of Australians from Brisbane and one New Englander. We eat in packs, it would seem. It will never cease to amaze me, in the large cities of the world, just how much stuff can be packed into how little space. 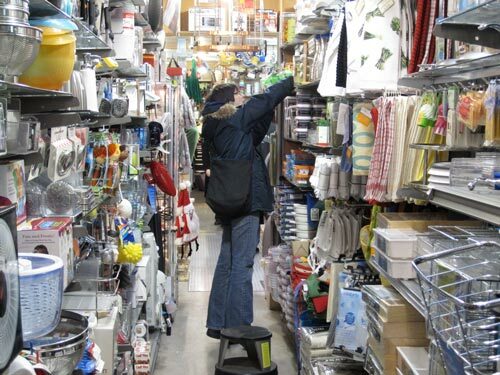 I’ve long known the privilege of taking room and space for granted and every time I visit New York I run smack into the intense proximity of just about everything, especially when following E from shop to shop. This little kitchenwares store was a marvel of practical consumption nestled in a broader context of material unnecessitude, and yet I was able to get my girl out of there for under ten American dollars owing to my formidable powers of persuasion.